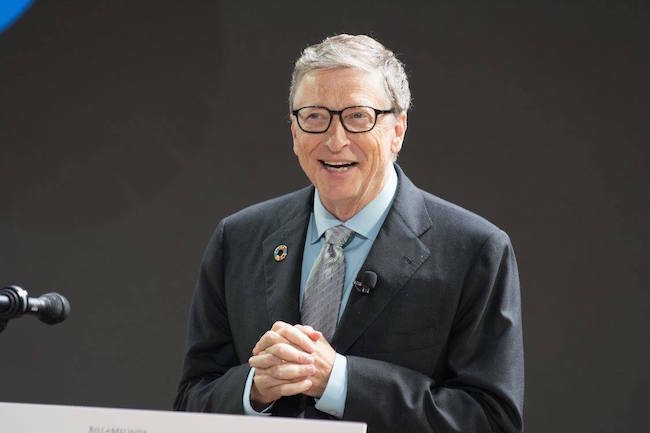 Microsoft founder, Bill Gates, was in Nigeria last week, and he publicly gave its leaders some tough talk in a highly unusual move. The tech billionaire addressed a special session of the National Economic Council, with Vice President Yemi Osinbajo, state governors, ministers in attendance. He spoke on why the government needs to change the narrative of development efforts by focussing on human development, investing on education, health and creating opportunities for the people. What do I mean by investing in your people? I mean prioritising health and education, the factors included in the model I just showed you. I also mean continuing to open up opportunities in the agriculture and micro-enterprise sectors, as the government has proposed in the ERGP. I mean creating the conditions where Nigerians can reach their goals while adding value to the economy—the win-win scenario. We want to support you in your work to mobilise more resources to invest in your country. That’s why our foundation is working with the Nigeria Governors’ Forum to help states track internally generated revenue. Bill Gates is not what he appears to be. The guy so clueless when it comes to Africa it's mind bending. Let people find out for themselves what kind of an empty suit the man is.